ASHLEY & CREW: vintage whites market!! when my husband + i came up to montana last year, all of my friends kept talking about this "vintage whites market", which was their own version of a flea... only much cuter!! it's put on by a couple of super cute, creative girls, that pitch their tents 3 times during the summer + once just before the christmas season; oh yes, i went to all of them!! so you can imagine how excited i was when they asked me to design their new logo!! i can't say enough how much i loved working with them... seriously the most amazing experience!! 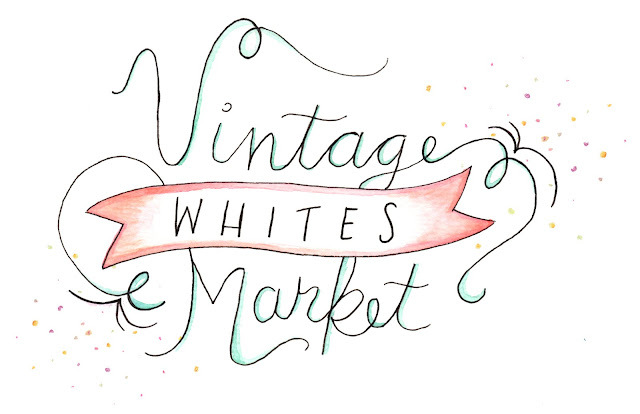 thanks vintage whites for the awesome opportunity, + can't wait to see you guys [+ shop :)] in a couple weeks!!! check out their new blog + come on out if you're in the area! !